I have been in this university for four and a half years, and my goal would be to try to give back to the university. 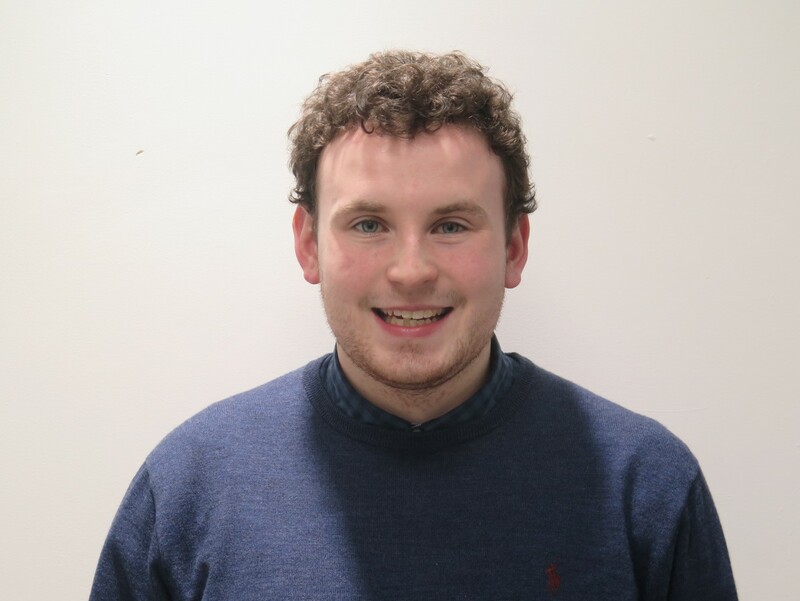 My goal would be to make the university more accessible for the average student, especially the Students’ Union, encourage people to get interested and involved in the Students’ Union, and see what we can provide for the average student. What is the one thing that you are hoping to achieve as Welfare and Equality officer over everything else? One thing I am very passionate about is the services we provide to students. I would love to improve the mental health services and disability support services. There has been an increase in numbers for the disability support service, there is a large number of students increasing their involvement in it and so increasing the amount of services they need. However the university hasn’t provided funds or staff to accommodate these students. My goal is to work with the university to improve the services in disability services and mental health. One thing I want to focus on is women’s rights. I want to focus on the Ask for Angela campaign. I feel we should offer courses to bar staff to be aware of what Ask for Angela means, and teach the female student body, so they can be ready if they’re in a difficult situation. I also want to work on the situation with spiked drinks which has become prevalent. A test to check if your drinks has narcotics in it only cost €1.50 but yet no pub in the university or in Galway sells them. My goal would be to have a campaign and work with the board of commerce to come up wth a policy to convince bars and restaurants to sell these packets at the bar with drinks. So if you’re a girl or a boy who is uncomfortable with your drink, while buying a drink you can also buy a packet, and I hope it would be used as a deterrent and reduce the amount of drink spiking that occurs. Another passionate one I am proud of is blood and bone marrow drives. A blood drive was on during RAG week and we all know what happens during RAG week. So I think as we have a large student population of healthy men and women, that we should be contributing more. I think we should have more blood drives in the university, one every three months. I am hoping we can give back – we already have many students doing medicine – we could give back to the health services in this country. I also think we should take a step further. I think a great contribution would be to have a bone-marrow drive once a year. Individuals can sign up and have DNA samples taken from their cheek and if they want they will be put on a register, and they may be called upon to save someone’s life with a blood disorder. Not only would this be a great charitable deed you would also get financial incentive of €400 so I am hoping it would encourage students to participate and I am hoping it would make NUI Galway contribute to saving them. How will you encourage people to see you as someone they can approach with any problems? I feel like as Welfare & Equality Officer I think it is a big responsibility and I’d make sure to have opening hours, which the Welfare Officer already does, but maybe take initiative to run workshops and visit societies and clubs, ask the student body what they are interested in as I am the treasurer of a society myself, Impact, I completely understand that I need to take more initiative with minority groups in the university. I am proud that equality is part welfare. It will give the officer more background to improve the standards in the university to make sure people are happy and that they will be supported.